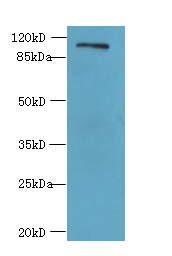 Metallocarboxypeptidase that mediates deglutamylation of target proteins. Catalyzes the deglutamylation of polyglutamate side chains generated by post-translational polyglutamylation in proteins such as tubulins. Also removes gene-encoded polyglutamates from the carboxy-terminus of target proteins such as MYLK. 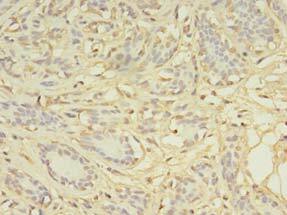 Does not show detyrosinase or deglycylase activities from the carboxy-terminus of tubulin. 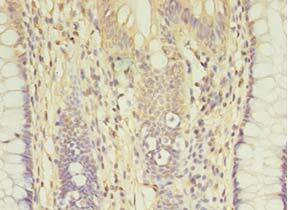 AGBL2 Polyclonal Antibody. Unconjugated. Raised in: Rabbit.